* Total flight cost is calculated from Startup to Shutdown, in 1/10th hour increments. Welcome to Star Helicopters. We provide Premier Los Angeles helicopter tours, aerial photography services, private jet charters & air taxi service and a helicopter pilot flight training program. Let our professional pilots get you where you need to go in a private charter jet, or show you the sights on one of our LA helicopter tours. 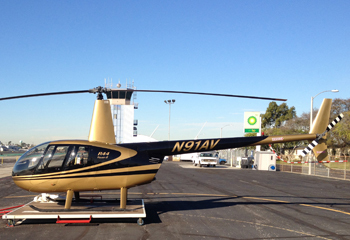 We have several options in Los Angeles helicopter tours. A Hollywood sightseeing tour is the perfect way to view movie studios, celebrity homes, beaches and other local attractions. There is a wide selection of tours available, ranging from a short, 15 minute flight, to longer tours lasting almost 2 hours, so you can find something to create a lasting memory. 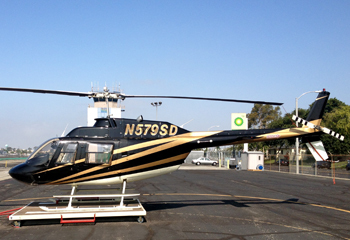 Star Helicopters offers aerial photography services for breathtaking photography in the Los Angeles area. We provide helicopter rides for professional photographers, as well as our own professional aerial photographer for all your picture-capturing needs. Our aerial photography services include boat racing, real estate, architectural and civil engineering projects, fine arts, photo gallery and other events. 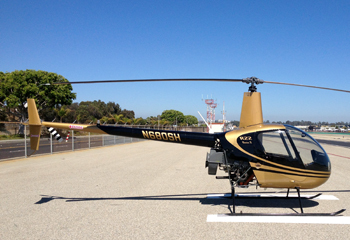 You can learn how to fly helicopters at Hawthorne, Santa Monica, Torrance & Long Beach, with Star Helicopters. We have several flying course options in our Helicopter Flight Schools. Whether you are interested in private pilot certificate, instrument rating, commercial pilot certificate, private pilot add-on, commercial pilot add-on, flight instructor, flight instructor instrument training or our professional pilot program (you complete the course and you’re hired! ): we have a flying course for you. Please browse our website to learn more about Star Helicopters and our Los Angeles Helicopter tours, private jet charters & air taxi, and other services. If you have any questions, please contact us by telephone or email. If you’re interested in learning to fly a helicopter for fun, need more advanced training, or want to fly professionally, our Helicopter Flight Schools offer a wide range of training programs. Sunset Tours – Turn any tour into a sunset tour at no extra charge. Call us for our departure times! Couples – What better way to show your friendship and share your experience. Two couples can fly for a little more than the price of one couple. Romantic Tours – Show your love, surprise your special person with a tour. Birthday Gifts – Perfect for the person who has everything! Prom Dates – A great first stop for your limo before that romantic dinner. This is sure to impress! VIP Limousine Package – You’ll be treated like a Star from the moment your limousine arrives. We have done all the planning for you! Upgrade your experience to our VIP Limousine package. Graduation Gift – They just might decide to be a helicopter pilot! Bar Mitzvahs, Quinceaneras – Arrange a group mini tour for the whole party! We can give approx. 24-30 people an 8-10 minute ride per hour. Wedding Gift – Sure beats a toaster! Marriage Proposals – What a wonderful way to hear the word “Yes”. Wedding Anniversaries – That are unforgettable! Custom Tours – We will gladly customize a personalized tour just for you. Give us a call today! Large Groups & Corporate Events – Call our event planner and we will help accommodate your large group or design an exciting and memorable event using our Bell Jet Ranger and fleet of helicopters, at surprisingly reasonable rates.